Mike was back at work and I was back to house cleaning and laundry. Since the sun had stayed I was able to make use of the clothes line dad had hung for me while he was here. Aunty came over and we enjoyed some conversation, cozied up in blankets while sitting on the patio to enjoy the sunshine. We chatted away until a ‘roar’ from around the corner startled us. They left shortly after to rent bikes and spent the rest of their day riding around Dalfsen and the surrounding areas. Once housy tasks had been completed and some more writing caught up on, I began the task of chandler fixing. Aunty and uncle made it back in one piece 😉 and I began supper preparations. 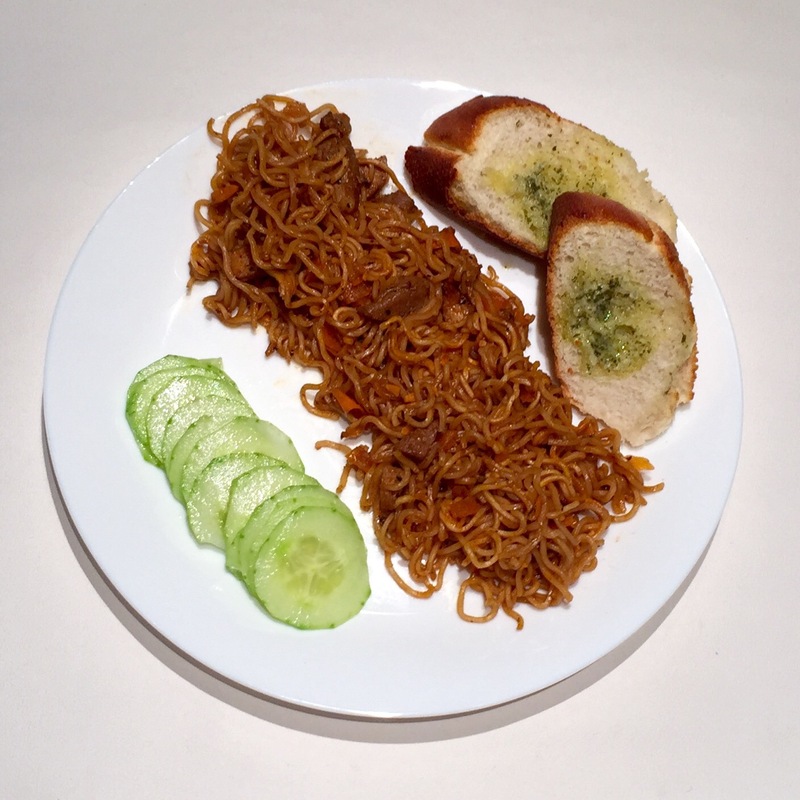 A simple spread of cucumber lemon salad, stir fried noodles and sautéed steak with garlic bread beside. 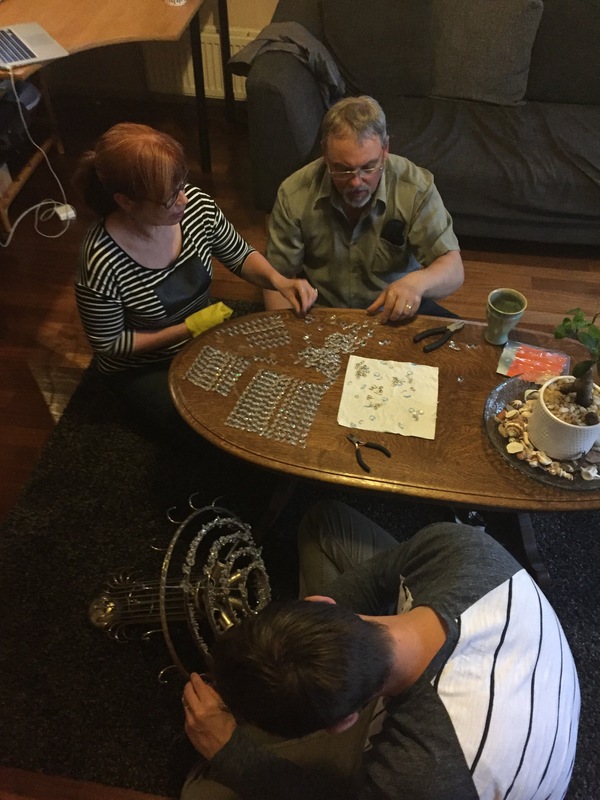 Laughter and conversation were shared as well as a feeling of accomplishment once we finished refurbishing the chandelier. 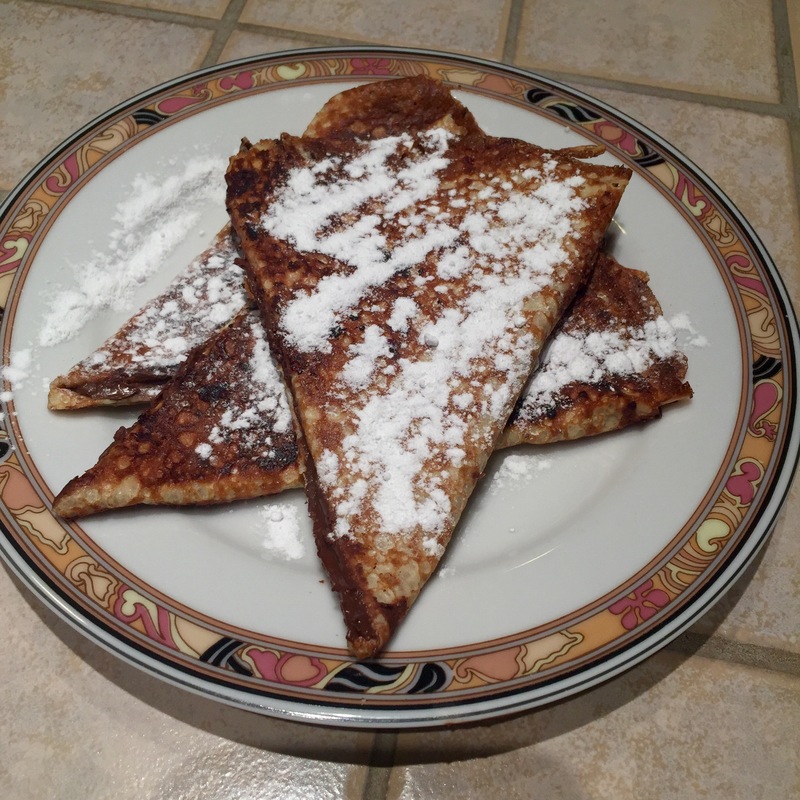 French crêpes were fried with Nutella and topped with icing sugar as a light sweet to accompany our tea and coffees. At one point there was some fast, tribal sounding drums playing pretty loudly as Aunty was giving me my back rub. A few plans for Aunty and Uncles departure to Amsterdam were ironed out and the evening drew to an end.